Even though we went into Christmas overdrive at 12:00 AM on November 1, don't forget Thanksgiving is coming up fast! This holiday is great for spending time with family, but Thanksgiving break is also the perfect time to reconnect with friends back home. 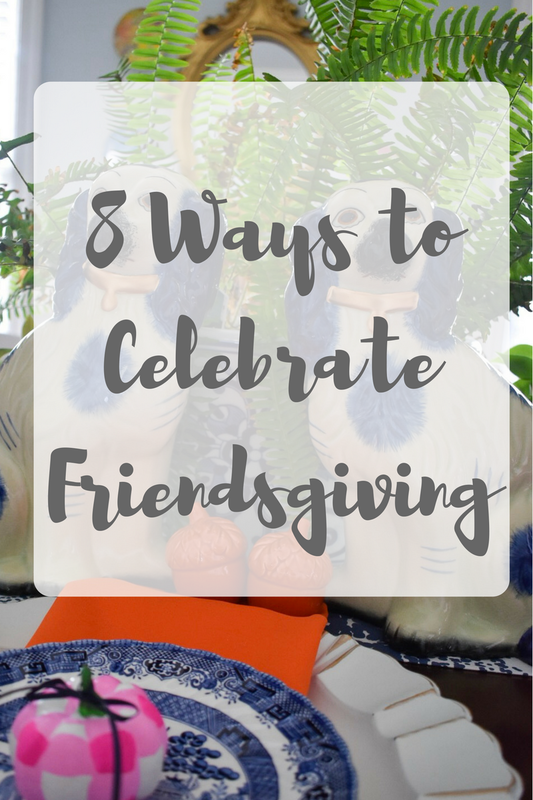 Friendsgiving doesn't have to equal the typical Thanksgiving meal with friends, it's all about spending time with friends - no matter what you're doing! 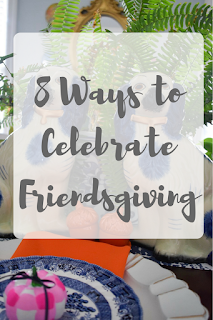 Below, I've listed 8 different ways you can host a Friendsgiving - from unconventional to traditional, find the activity that's perfect for you and your friends! There are always great movies in theaters around the holidays so make plans with friends to meet up at the movies and enjoy lots of popcorn and a fun time! You can catch up at dinner beforehand or hang out after the movie to tell college stories from your first few months of the semester and reminisce on old times. Don't forget to get tickets in advance if you live in a big city where theaters tend to get crowded this time of year! Another fun way to catch up with friends over break is to get together for a little early Christmas shopping in local stores and then take a break for lattes in a hometown coffee shop. This is a great opportunity to visit some of your favorite spots from high school and you might even check off a few names on your Christmas list! Sometimes staying in is the perfect option, especially when the weather is chilly! Have your friends over for brunch - instead of a traditional Thanksgiving potluck, everyone can bring a breakfast dish to create the perfect brunch buffet. I love my turkey and mashed potatoes, but I would love French toast and doughnuts that weekend too! A really fun and productive way to spend time with old friends is to host a big crafting session where you can all be creative and chat. You can use this time as a way to DIY some Christmas gifts or spend time writing thank you cards to all the important people in your life - it is the time for giving thanks, after all. 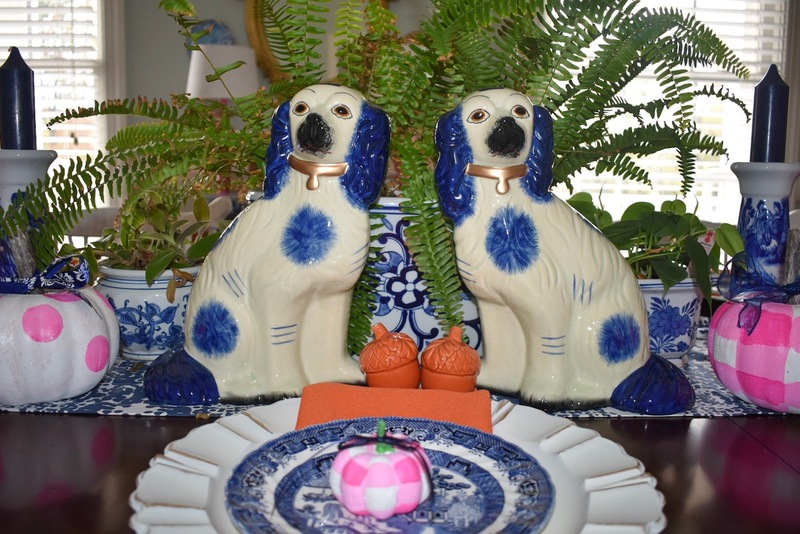 Decide in advance whether the hostess will provide supplies or if everyone should bring a specific material. There are plenty of opportunities for volunteering around the holidays and, when it comes to volunteers, the more, the merrier! You and your friends can sign up for a time to ring the bell for the Salvation Army, help with deliveries for food drives, or help serve meals in a shelter. Don't pass up the chance to reconnect while giving back to your community. If someone in your group has an outdoor fire pit at their house, a s'mores night creates the perfect setting for catching up and having a good time. Not only are s'mores my favorite, but it's also a lot of fun to sit by a warm fire on a cold night. No fire pit? No worries! You can always make s'mores in the microwave and pop in a DVD in someone's living room! If you're in the mood for activities and competition, a game night is an interactive way to get all your friends involved and excited! Have everyone bring their favorite board game and settle in for a night filled with activities. Whether it's video games, card games, or Monopoly, you're sure to have a great time. Might I recommend a fun, never-ending game of Uno? There's nothing wrong with two Thanksgivings in one weekend! If you and your friends are interested in cooking up some traditional holiday recipes, host a second big Thanksgiving with a Friendsgiving Feast. Have each person bring a dish and be sure to coordinate ahead of time so you don't end up with nine bowls of yams and no turkey in sight. How are you celebrating Thanksgiving + Friendsgiving this year?